Shinaaz Poemedie, facilitator at Pescodia High School in Roodepan shares with us the inspirational story of growth and maturity of Melvin van der Westhuizen. “He walked into the first session with a limp, pants hanging low and a look on his face that I’ve come to recognise among the young men in Roodepan, Kimberley. ‘Here comes trouble!’ was my first impression of Melvin. But boy, was I wrong. At first, he was talkative and disruptive in class. I now know that he was trying to enforce his place as leader on the programme. However, this soon backfired when he was not chosen for any of the positions in their business, despite self-nominating for many. I’ve been a facilitator for 12 years now and I’ve never seen anybody mature so much in such a short space of time. 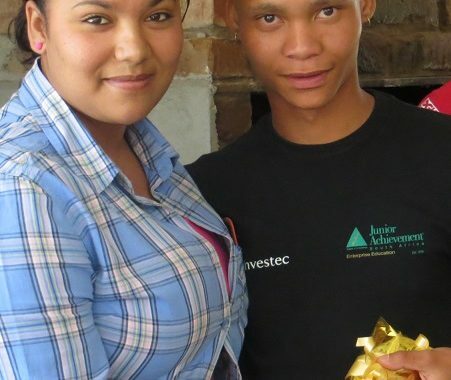 When she realised what a role model Melvin had become, JA South Africa’s Northern Cape agent, Mercedes Fredericks invited him to earn some extra cash as a co-facilitator on her programmes. 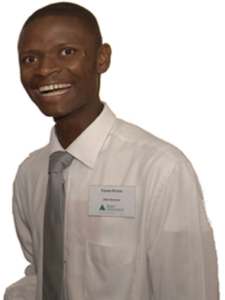 In this role, Melvin attends recruitment drives to help motivate potential new learners, assists Mercedes as a class aide and is often seen to be motivating learners to join JA South Africa programmes. We look forward to following your journey to becoming a great teacher! It still overwhelms me when I think of how many doors a programme like JASA opened for me. “In 2009 I participated in the Enterprise Programme, funded by Graftech, when I was a Grade 11 learner at General Smuts High School. The programme sessions were held at Graftech’s offices in Meyerton. Our company’s name was Chain-It! and we sold key chains in a variety of colours, shapes and sizes. As the financial accountant for Chain-It! I was responsible for the money side of our business, from costing to profit and loss to balancing our balance sheet. “The programme was a lot of fun but we also worked hard to ensure the success of our mini-company. I remember when our company broke even in the 4th week of business (which was a record at the time) we were ecstatic. We made a tidy profit by the end of the programme! “The programme taught me that the possibilities are endless if you’re willing to take the necessary risks. We were selling products for four times their cost price, which in itself was a huge step for us, considering that we all came onto the programme with little to no entrepreneurial experience, but we never questioned what we wanted to achieve. “The success of our business also landed myself and my financial manager (Yolandi Le Roux) a trip to attend a Sustainable Development Programme in Bulgaria in 2010, a once in a lifetime trip that I will never forget! I later on went to receive a John Craig award for Entrepreneurial Spirit at our school’s prize giving. 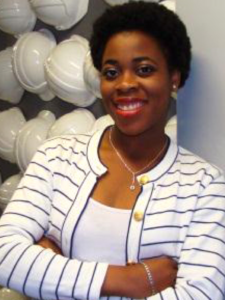 “It still overwhelms me when I think of how many doors a programme like JASA opened for me. I just had to ensure I wasn’t afraid to dive into opportunities the opportunities I was given. Through each of these programmes my self-confidence grew, and this pushed me to work harder and learn more. 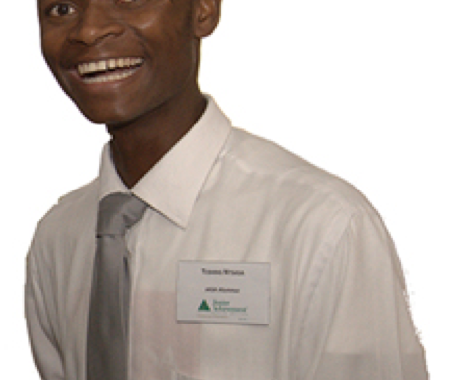 “I began my Junior Achievement journey in 2007 when I was in Grade 10 at Jules High School in Johannesburg, Gauteng. 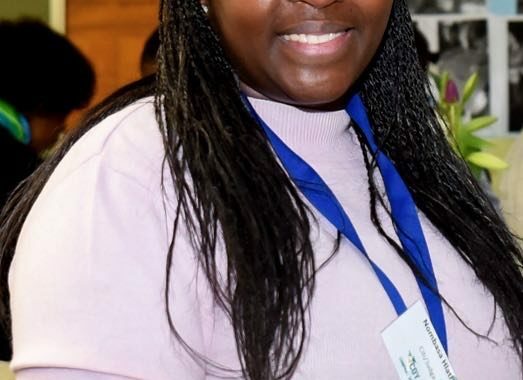 “The Enterprise Programme taught me a lot about running a business and helped me see that with hard work and determination, having my own company was possible. Then I completed the Banks in Action Programme in Grade 11, which allowed me to run my own computer simulated banking empire. The programme also taught me about the banking industry, and about deposits, loans and interest. “Through each of these programmes my self-confidence grew and this pushed me to work harder and learn more. The programmes also made me realise that I loved being in front of people and performing, which helped me decide on a career path as an actor and motivational speaker. “Unfortunately my mother didn’t live long enough to see the results of all of her efforts in helping me to prepare for the role of Tivo in the television show 90 Plein Street. She died of AIDS a few days before my first appearance. The loss of my mother hit me hard, having a negative effect on my motivation, drive, interest in school and ultimately in life. Fortunately I still had support of the staff at JASA who assisted me in regaining my self-confidence. The reality of my situation was that I had become my sister’s sole provider and I needed to look after her financially and emotionally. Both of my parents had passed on and her welfare had become my responsibility. “My JASA experience pointed me in the right direction. I started a promotional clothing agency, acting as the coordinator between high schools needing Matric jackets and a clothing manufacturer. Business was good and with help and guidance from JASA and many other people, I was able to provide for my little sister. “I have subsequently appeared in several well-known productions since my high school days and I have learnt how to manage myself as a brand. Through all of my hardships and struggles in life, my JASA experience has helped me land on my feet and to continue pursuing my dreams. The staff saw beyond my background, rebelliousness and lack of self-confidence. Yesterday I was the Thabo Afitlhile, who spoke broken English, but today I am a proud TV-film maker, speaker and entrepreneur. “My career in the film industry and other prospective business ventures has not been easy, but with mental, spiritual and emotional strength, hard work, passion, a deep desire and above all with the guidance of JASA, I can accomplish anything! “On behalf of myself, and thousands of others, I would like to thank the JASA staff members, facilitators, funders and partners for creating this great organisation which is so dedicated to seeing beyond boundaries and helping the youth of South Africa to realise their potential. I hope that one day the Mini Enterprise Programme is offered in every school across the country, because every schoolchild should benefit from a JASA programme. Passion, drive and knowledge are key factors in success. I am proud to be associated with JASA. 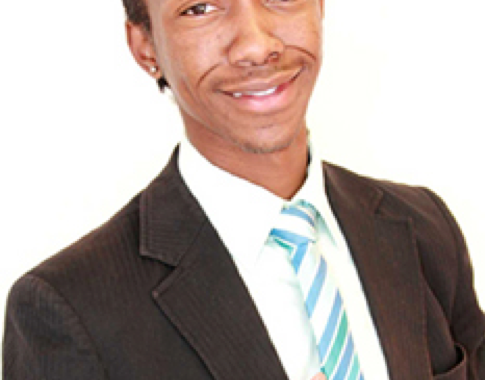 “I attended the Enterprise Programme in 2002 when I was in Grade 11 at The Hill High School. During the programme our company manufactured and sold stress balls and lip balm. We formed a great team and I am still in touch with most of my fellow company members 11 years later! 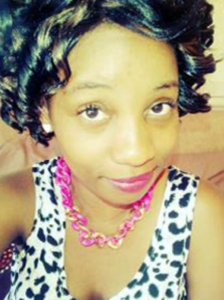 “The programme undeniably helped me decide on my career path and after school I went on to study Human Resources. At the age of 26, I have worked my way up the ranks to various senior management roles and I am currently an Executive Human Resources Manager for Makro SA based at their Woodmead branch. The programme taught me the fundamentals of the business world and showed me the value of facing all challenges head on, which led me to become a solutions driven person. 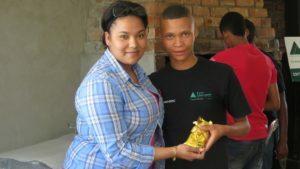 “In my spare time I also facilitate an Enterprise Programme at Princess High School in Roodepoort. It’s great to see that 11 years later JASA is still doing excellent work and changing the lives of so many young people. However there is still a lot of work to do. Currently in South Africa, the gap between learners from school or university and the business world is vast. After matriculating or graduating young people realise that they are not work ready and often find themselves unemployed. By running programmes like the Mini Enterprise programme, JASA is able to develop individuals and assist in moulding the next generation for success after school. “The Enterprise Programme also ignited the entrepreneurial spark in me, and I currently run my own photobook business called Picture This. A photobook is the next evolution of the photo album. Using software, I create beautiful coffee table-style books of people’s personal memories, making use of my clients digital photos. Entrepreneurship is important in South Africa. We need to generate additional sources of job creation, to ensure our country will flourish and unemployment will become a thing of the past. Economic sustainability is key, not only for individuals but for our nation too. “Within the next five years I would like to see myself completing my MBA and moving ahead in my career – possibly into a directorship role – and building my photobook business nationally. 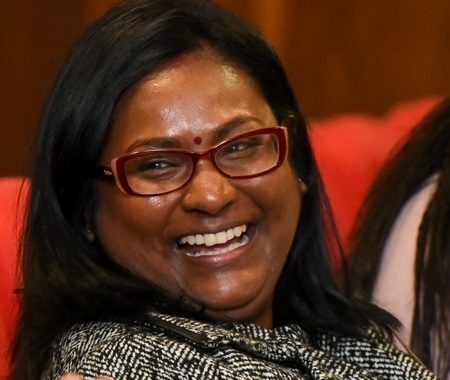 Thank you JASA for the lessons learnt and for guiding my career down this extraordinary path! Passion, drive and knowledge are key factors to success, I am proud to be associated with JASA and hope to make a difference the way they have! Set realistic expectations that you can delivery on time, at the right price, with the right quality. “I was at Northcliff High School in Johannesburg and I remember participating in the programme during my Std. 8 year (or Grade 10 as it’s now called). The company that we formed was called ‘Ear ‘Ear and we made earrings. One of my favourite parts was sourcing the raw material which we all did together. – Set realistic expectations that you can deliver on time, at the right price, with the right quality. Make sure that your supply can meet demand. Our marketing team were excellent and they created a big demand for the product which then our production team had a very hard time fulfilling. As I have progressed in my career I have found this can be a problem in many companies – marketing overselling to the client and the production/delivery team being unable to meet that expectation – with blame being the natural next step and an unhappy customer at the end of the day. We swapped roles for a week (marketing taking over production) and it resulted in far better understanding and a more realistic team that went out selling the following week. – Finding the balance between the actual worth of a product, and the customer’s perception of worth. I have been involved in the marketing of artwork in my career and the customer often does not know (or care) how many hours it took to create a product. Always make sure that you are factoring in your time as well as materials and packaging to ensure you have a profitable product to take to market. 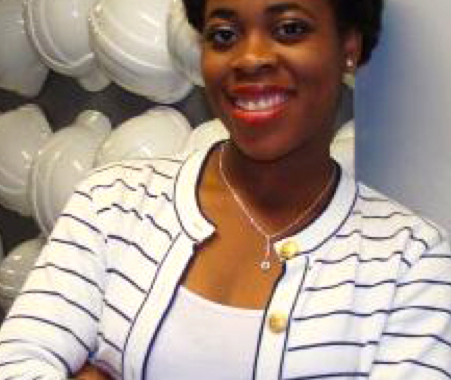 Middleton is an Associate with Arup (Consulting Engineers) and the Marketing and Communications Manager for the Southern Africa region. She possesses a wealth of experience in communication and marketing strategy work together with a strong understanding of sustainability as it pertains to the business environment. 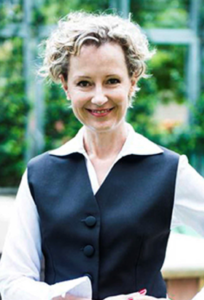 In this capacity she also heads up the Southern Africa Sustainability Task Force for Arup. 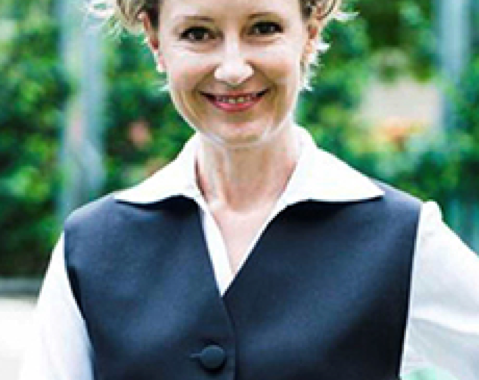 After running her own successful communication consultancy for over eight years, Middleton joined the National Business Initiative in 1999, ultimately heading up the Sustainable Futures Unit and the communications division; ensuring that the NBI engaged member companies to help them develop frameworks for understanding, improving, measuring and communicating the role of their business in society. She led the partnership between the NBI and the World Business Council on Sustainable Development and built relationships with the South African government Departments of Environment & Tourism and of Minerals & Energy. This latter partnership led to the drawing up and signing of an Energy Efficiency Accord between government and business. Her contribution to this was recognised at the 2006 ETA Awards where she was joint winner of the Woman in Industry category. Middleton was one of three editors of a special African edition of the Journal for Corporate Citizenship in 2005 (Greenleaf Publishing, UK); and, with the same team, has published a book on Corporate Citizenship in Africa (Greenleaf Publishing, UK). The journal has been made prescribed reading for a number of business schools in Europe. I firmly believe that we can create a stronger, more empowering nation by exposing more of our youth to these programmes. 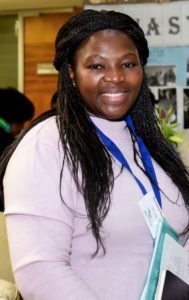 “My first encounter with Junior Achievement South Africa was in 2005 when I was in Grade 10 at Barnato Park High School in Johannesburg, Gauteng. “My experience began with the Enterprise Programme, which at first seemed like just another ‘fun’ extra-mural activity that would keep me busy at school when the school day was over. Little did I know that it was the beginning of a long-lasting relationship with an organisation that would help mould, carve, and prepare me for a future that I didn’t quite foresee. “The Enterprise Programme taught me the fundamentals of going into business; it taught me how to be focused, consistent, and precise. It taught me about the market place, marketing strategies, profit margins, etc. When I completed the Enterprise Programme I knew I still wanted to do something out of my normal school curriculum but didn’t know what next. Luckily for me the school announced that I had been nominated by my teachers to attend the JASA Success Skills and Banks in Action Programmes during the school holidays in 2006. These two programmes taught me about interpersonal skills in the workplace, managing conflict, working in a team and about the banking system which all came in very handy as a young employee. 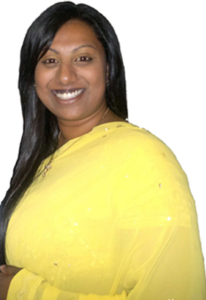 “In 2006, I was nominated to become a member of the JASA Youth Council. There I met Fulufelo Miswe, who would later turn out to me my best friend for life. I also completed the JASA Job Shadow programme in 2007 where I was afforded the opportunity to work at Vantage Capital in Melrose Arch, Johannesburg. Through the Job Shadow Programme I was taught how to act the workplace. I learned how to interact with colleagues and learnt how scary board meetings can be! 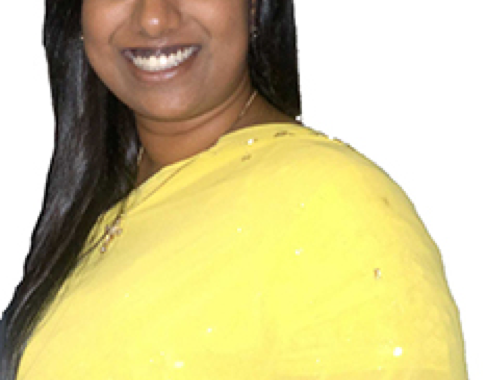 “All these experiences enabled me to secure a job at Amalgamated Beverages Industries (ABI) after completing my secondary education in 2007 and later on move to Aspen Pharmacare in 2009. Joining the workforce at a seemingly young age, my only tools were my learnings from the various JASA programmes that I completed. I was able to apply everything I learnt from the JASA programmes in real life situations in the work place. “Today I work as a Procurement Professional at Rio Tinto, a global mining giant, rendering professional services to their mines in Africa. My role at Rio Tinto entails contributing to Rio Tinto’s procurement performance as a safe supplier of services to its customers through engagement and active participation in Business Unit safety initiatives and ensuring that the Business Unit’s buying needs and strategies are achieved while complying with Rio Tinto’s procurement policies. “The future of this country and the continent as a whole lies with our youth, and I personally believe that there’s so much potential in each individual. Sometimes it takes more than just learning about Romeo and Juliet or the concepts behind Pythagoras for a high school child to have a feel of what the world out there is all about and be equipped with basic tools on how to tackle it. School taught me Maths and Accounting, and JASA further taught me among other things interpersonal skills and how to be a team-player. Fortunately for me, I was equipped with the basic tools that I needed to embark on this journey through the various JASA programmes I completed and I firmly believe that we can create a stronger, more empowering nation by exposing more of our youth to these programmes. I never saw myself as an entrepreneur but that all changed after my Junior Achievement experience! “In 2008 I was in Grade 11 when I participated in Junior Achievement South Africa’s Life Skills and Mentorship Programme, funded by First National Bank. The sessions were held at FNB Bank City in Johannesburg every Saturday. When I started my JASA journey I was doing science subjects at school and entrepreneurship seemed like a Greek word to me. All I wanted to do after matric was study information technology. “Our mini-company launched during the programme was called Synergy and we sold personalised bracelets and key rings. As the personalised bracelets sold better than the key rings and, as General Manager of our company, I made an educated decision to invest more money into the bracelets. Our mini-company was extremely profitable and after only five weeks of sales, we managed to make a net profit of over R11 000! “I never saw myself as an entrepreneur but that all changed after my Junior Achievement experience! The programme made me realise my love for business and it also taught me that anything is possible in life. What is important is that you believe in yourself and that you have the confidence that you will be able to achieve your goals. I also met my current business partner, Thabo Serame, during the JASA programme. “Growing up with so many dreams and goals, I am proud to say that today I am an entrepreneur and that one of my main aims in life is to create jobs. I am passionate about youth development, and having volunteered during the LSM programmes in 2010 and 2011, I realised the impact that the JASA programmes have in cultivating young entrepreneurs. I am now co-founder of TT Digital, a consulting and incubating company, along with my business partner. I also serve as project administrator for the Youth Leadership and Entrepreneurship Development Programme. I have connected with so many prestigious companies and people as a result of my JASA programme. 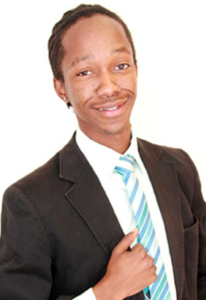 “Back in my high school days I had the opportunity to participate in the Enterprise Programme in 2009. I was in Grade 10 at Marianridge Secondary School. We sold a variety of products such as diaries, pens, sweets etc. I performed two roles within our mini-company, that of stock controller and assistant sales manager. “After the programme, I received the Best Sales Person award and having my JASA certificate has opened a lot of doors for me. I have connected with so many prestigious companies and people as a result of my JASA programme. The programme allowed me to learn about myself. It also helped me realise what I’d like to achieve as I got older. “The JASA programme taught me a lot about business ethics, business planning and management, sales and marketing, problem solving and decision making, teamwork, communication skills and career exploration. This made me realise that I would love to start my own organisation in future that would help to educate young people. God has really blessed me with the ability to do this and I’m living a purpose driven life. “That was the birth of my organisation; Youth In Action. Since then, I have registered my organisation and we are officially known as Youth In Action Africa. I am inspired by serving and empowering young people. I’m currently studying towards a Bachelor of Public Relations Degree at Midrand Graduate Institute, founder of Youth In Action Africa & a Kingdom Ambassador. This wouldn’t have come true if it weren’t for JASA. I’m truly honoured and grateful for the experience. My work with young people has been the greatest achievement and I highly recommend JASA. “I am also busy working on my construction company at the moment; this will be launched in 2015. The construction company will employ disadvantaged women who don’t have matric and can’t afford to support themselves financially. I’m a big supporter of women’s empowerment, and since there aren’t many women in the construction industry, it has always been a vision of mine to bring more young women into it. 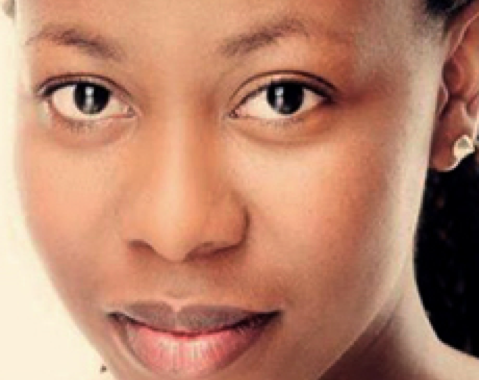 Nombasa Hlathi, Cash Product Manager in Treasury and Trade Solutions Team at Citi. 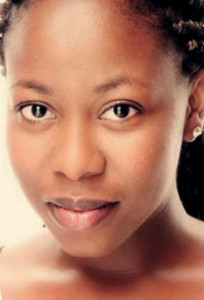 She is on the Citi leadership and development programme and is a member of the Emerging Leaders Advisory Forum. She also takes an active role in Citi Foundation initiatives and most importantly is a JASA Alumnus! In 2018, Hlathi was a judge at Company of the Year in Johannesburg. 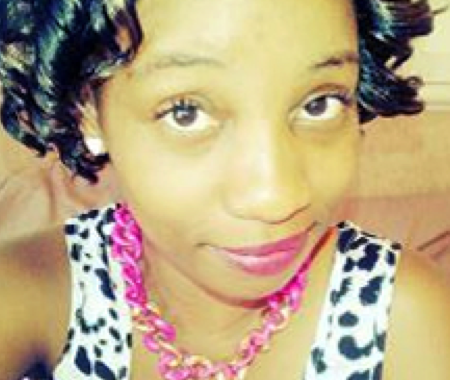 Sherishnie McDonald holds a Bachelor of Commerce Degree. 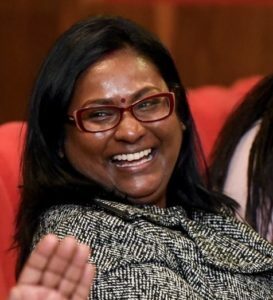 She had her first taste of business doing a JASA programme in Durban in 1993, where she achieved the highest sales and held the position of accountant. 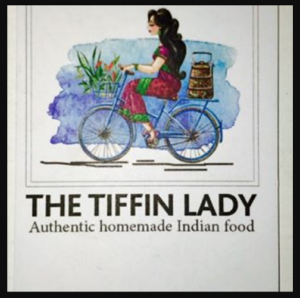 She has worked in the UK and now runs her own successful food and beverage business in Pretoria. She is also currently studying part time toward a degree in English Literature and volunteers her time to support the Cheshire Children’s Home and Wet Nose.